If you have been suffering from acute or chronic back or neck pain which has not benefited from conventional methods of treatment, then spine decompression may be the right approach for you. 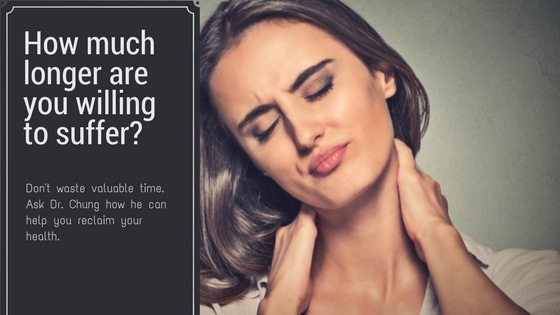 While most cases of lower back and neck pain can be managed with chiropractic care, physical therapy, or pain management--disc injuries and spinal nerve pain can be more difficult to treat. For many patients, addressing the underlying disc pathology and decompression of the spinal nerves is the only answer. DOC decompression is the world's leading non-surgical decompression system designed to target and decompress injured intervertebral discs through distraction and positioning of the lumbar or cervical spine. It provides a non-surgical, drug-free procedure for patients suffering from bulging and herniated discs, sciatica, spinal stenosis and disc degeneration. Find out if you're a good candidate for spine decompression. Fill out the form below or call now.